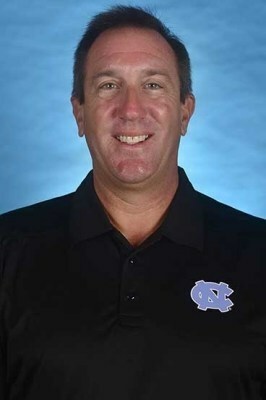 University of Notre Dame Women’s Swimming and Diving Team has hired Mike Litzinger, currently the assistant coach at University of North Carolina, as its next head coach. Litzinger will take over from interim head coach Tim Welsh, who came out of retirement to step in for Brian Barnes when he resigned for personal reasons at the beginning of last season. Litzinger comes to South Bend from Chapel Hill, North Carolina, where he has been Rich DeSelm’s assistant for eight years. During that time, the Tar Heels have produced numerous All-Americans, and every one of the team records have been rewritten. Litzinger is known for the mentoring he has done with middle distance swimmers, and particularly 200 butterfliers and 400 IMers. He is currently on the list of U.S. National Team coaches because of his work with National Team butterflier Ben Colley. Litzinger also had great success with UNC’s Cari Blalock, Meredith Hoover and Katie Nolan. Prior to 2007, Litzinger was the head swimming coach at the University of Utah for seven years, where he turned around both the men’s and women’s programs. From 1997-2000 Litzinger was assistant men’s coach at Ohio State, and from 1989-1997 he was head coach of women’s swimming at St. Bonaventure. Litzinger graduated from Hobart College in Geneva, N.Y., where he was captain of the swim team in 1983-84. Welcome Coach Litzinger. GO IRISH!!! Great Hire ! Congrats Mike! Congratulations Mike, great move for you, Great hire for the Irish! When you coming to the land of Sunshine and no snow- SOUTHERN CALIFORNIA?